1. 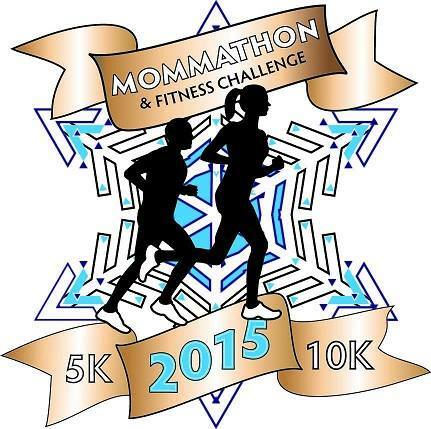 Mommathon 5k 10k Fitness Festival – 2/28/15. This one’s coming up soon! It’s being put on by my local Mom’s Run This Town group and Uberthons. What’s cool about this one is that it’s not just a 5k or 10k race, it’s also a fitness festival where there are fitness challenges. There will be fitness stations which include tests like how many burpees can you do in a minute, or how long can you hold plank? 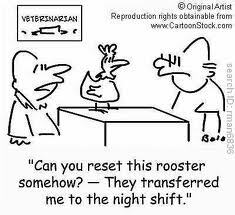 They also have a virtual option. You can learn more HERE. Check out the cool medal! 2. NYC Half Marathon – 3/15/15. I was lucky to get into this one since it is a lottery event. I’m so happy both my sister and I got in! This one should be fun since I’ll be traveling to the East Coast. I’ll get to run through Times Square and Central Park. It’ll be a nice running tour. I’m excited! Here’s a link to their official page for more info: HERE. Run through the historic Irvington neighborhood. Here’s a link to the official Rock’n’Roll Portland page: HERE. 4. 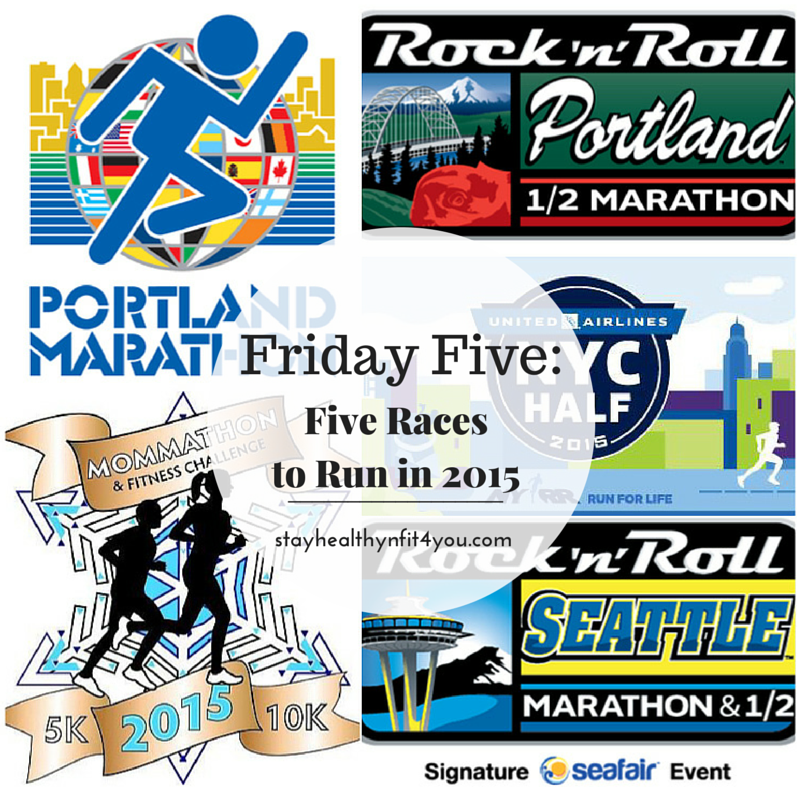 Rock’n’Roll Seattle Half Marathon – 6/13/15. I did this race for the first time last year and loved the scenic course! I remember getting a great view of Mt. Rainier, running on the freeway seeing the Great Wheel and Seattle’s sport stadiums. Also, it was nice running along Lake Washington, and there was a sea of blue, military tributes and American flags to remember the honor and sacrifice of our service men and women. It was great! Looks like they changed the course this year too and they will have a new start and finish line under the Space Needle. Here’s a link to the official page: HERE. 5. 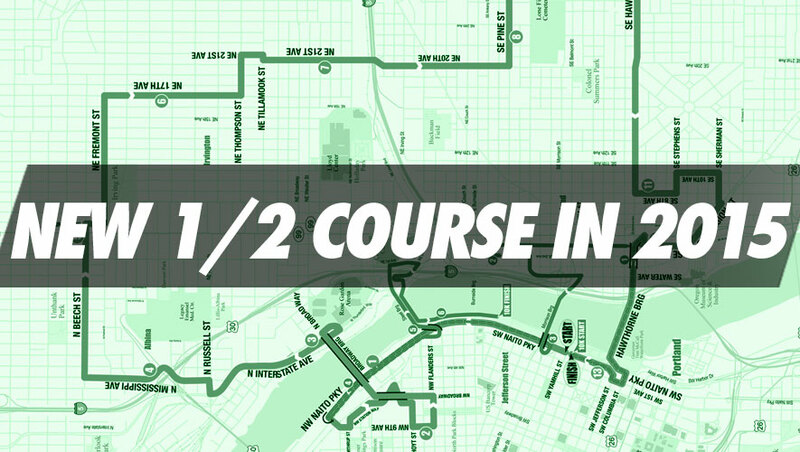 Portland Marathon – 10/4/15. This will be my first marathon. It’s listed to be one of the best marathons for first timers in this Runner’s World Article- HERE, in Fitness Magazine- HERE, Fitbie -as one of the 10 Best Beginner Marathons- HERE, and one of the 15 Best Fall Marathon’s in the U.S. from daily Burn- HERE. I’m glad this race is local. 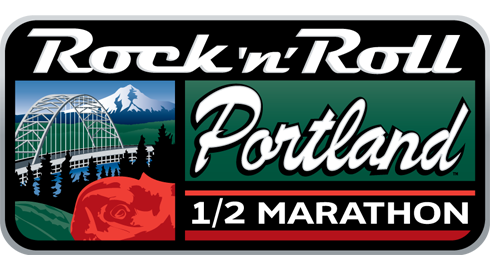 Here’s the official Portland Marathon site for more info: HERE. What is your favorite race for 2015? It’s Friday the 13th! I am linking up once again with Eat Pray Run DC, You Signed Up for What?! and Mar on the Run for their Friday Five Linkup. 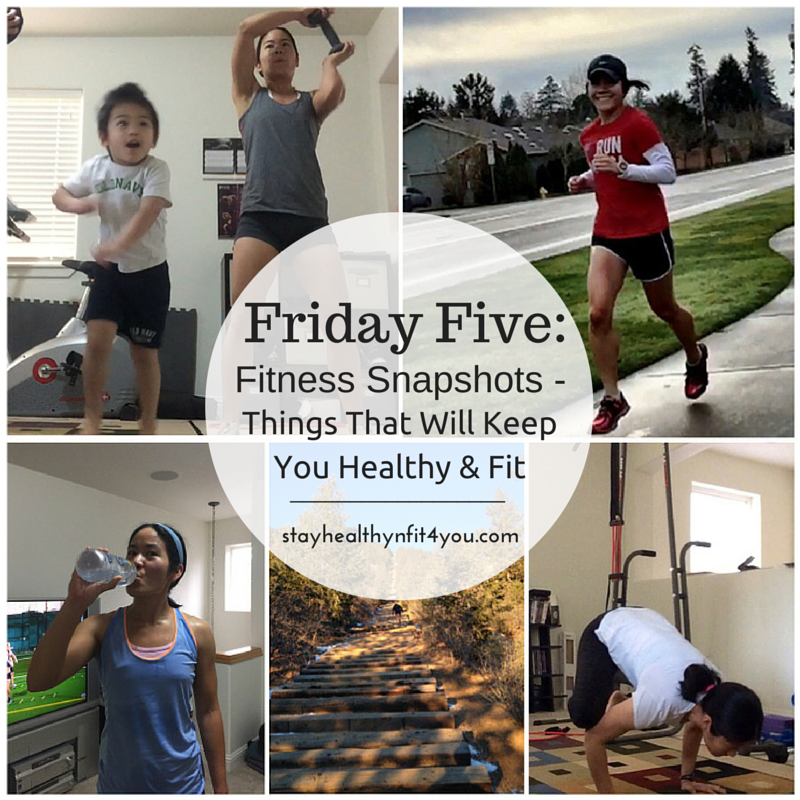 Every Friday they have a linkup for bloggers to link up a post about five things or write on their own theme. This week’s theme is “Love”. 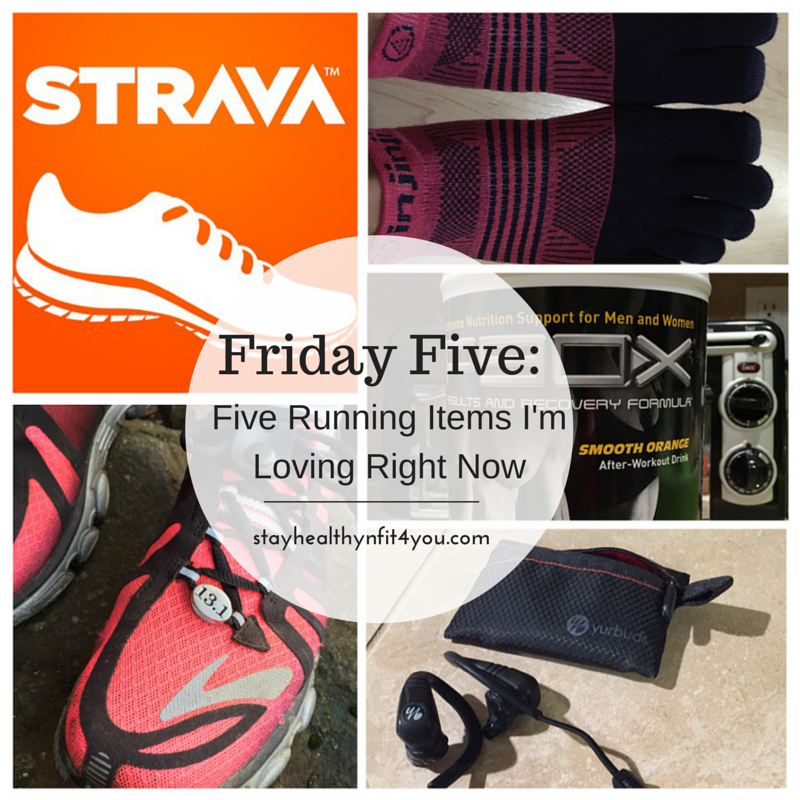 So I decided to write about five running related items I’m loving right now. 1. Wireless Headphones. I love listening to music when I run and I am loving wireless headphones! I just got these a couple of weeks ago. I usually like to whip out my phone and take pictures and not having to deal with the headphone cord is AWESOME! I’m using the Yurbuds Liberty Wireless Secure Fit Earphones and they work great. They don’t fall out when I run. I tried a different brand’s headphones and they just kept falling out after a while. Yurbuds are still my go to brand. I was lucky these were on sale and my hubby had a gift card. Since I’ve tried wireless, I’m not going back. 2. Injinji Socks. I love these socks! I won a pair in a giveaway a long time ago and I keep going back to these socks when I run. I just bought a new pair a couple of days ago. I dunno, my feet are comfortable in toe socks. I like how they’re lightweight and I don’t get blisters using them. 3. Strava. 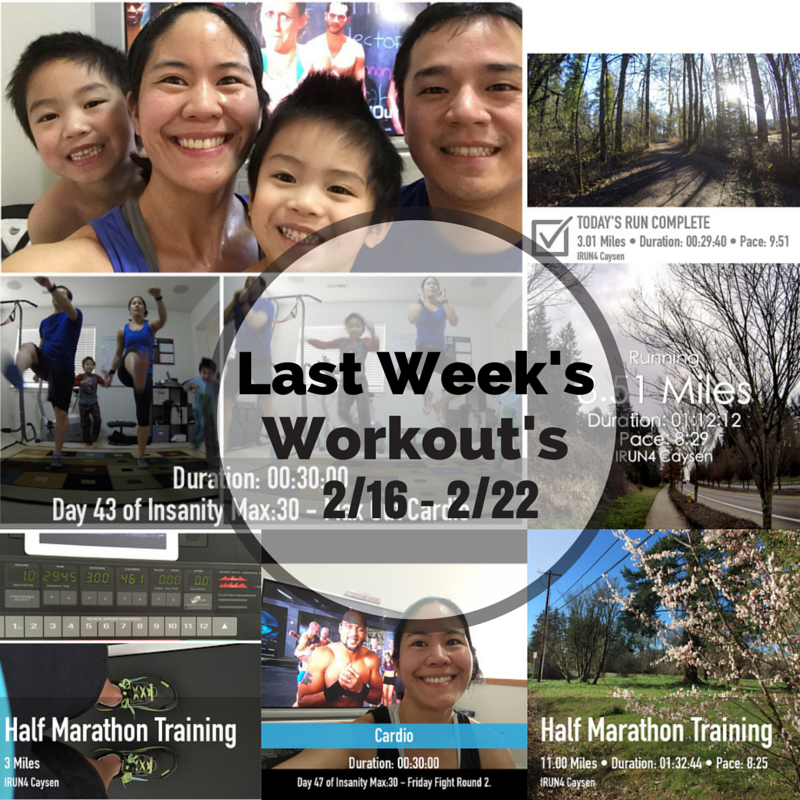 I just recently started using this App that tracks running or other activities like cycling. It’s a great way to keep track of your runs and look at your running data. I love how the GPS seems to be more accurate than Runkeeper since I’ve compared it with my Garmin. While running it’s great because you can setup audio notifications for every mile or half mile. 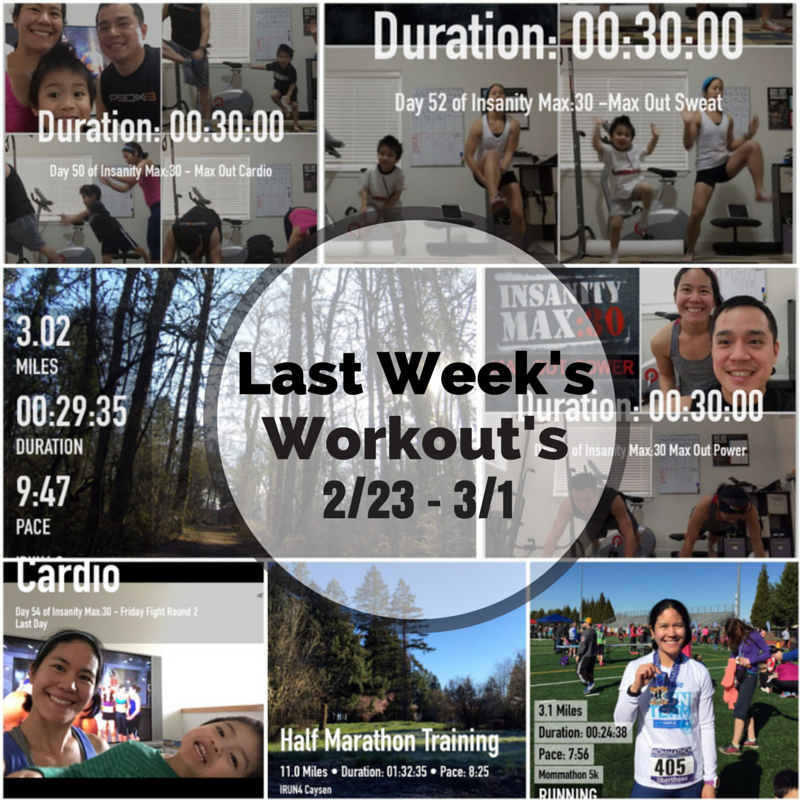 It also syncs with Instagram so you can see your pics associated with your runs. Another neat feature is that it compares the same distance runs you’ve ran in the same location, or matched runs as they call it, and you can see the data on a chart. Pretty cool! 4. Beachbody’s Results and Recovery Formula. 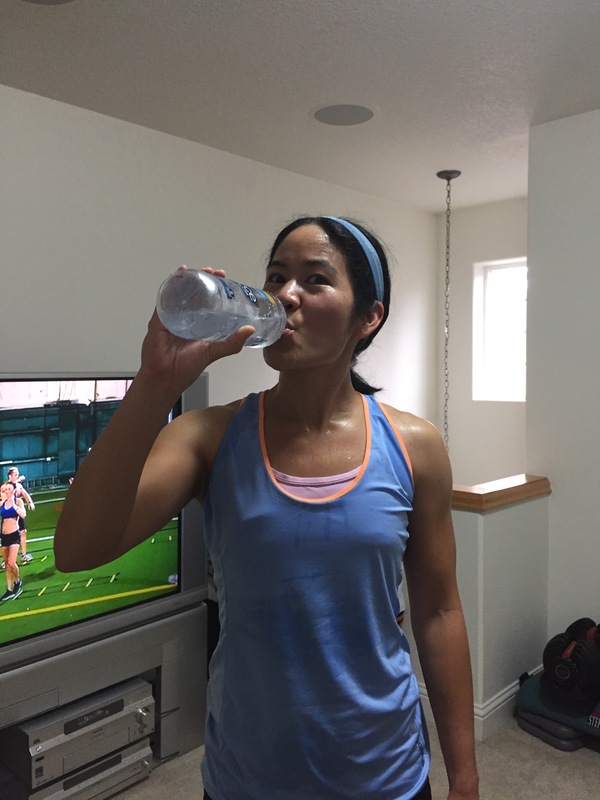 I’m really loving taking this recovery drink, especially on the days I do double workouts, where I run and then do an Insanity Max:30 workout. I think it’s really helping with having less soreness. I like how it has the 4:1 carbohydrate to protein ratio and tastes like an orange creamsicle. 5. Race-Kred runner charms. 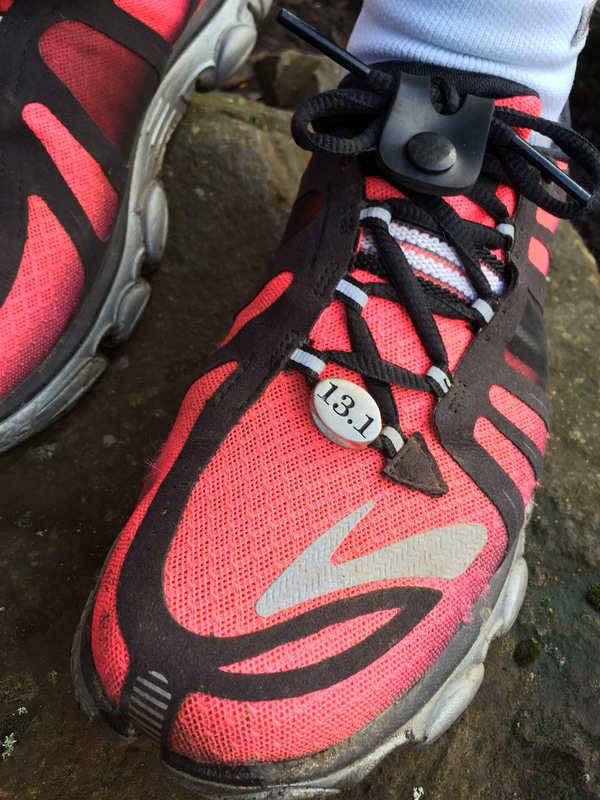 I’m loving the Race-Kred 13.1 runner charm I got to review. It’s a cool reminder of my accomplishment of running a half marathon. Love how it looks on my shoe! Full review and giveaway coming soon. Stay tuned. What running item are you loving right now? Hope you have a Happy Valentine’s Day! 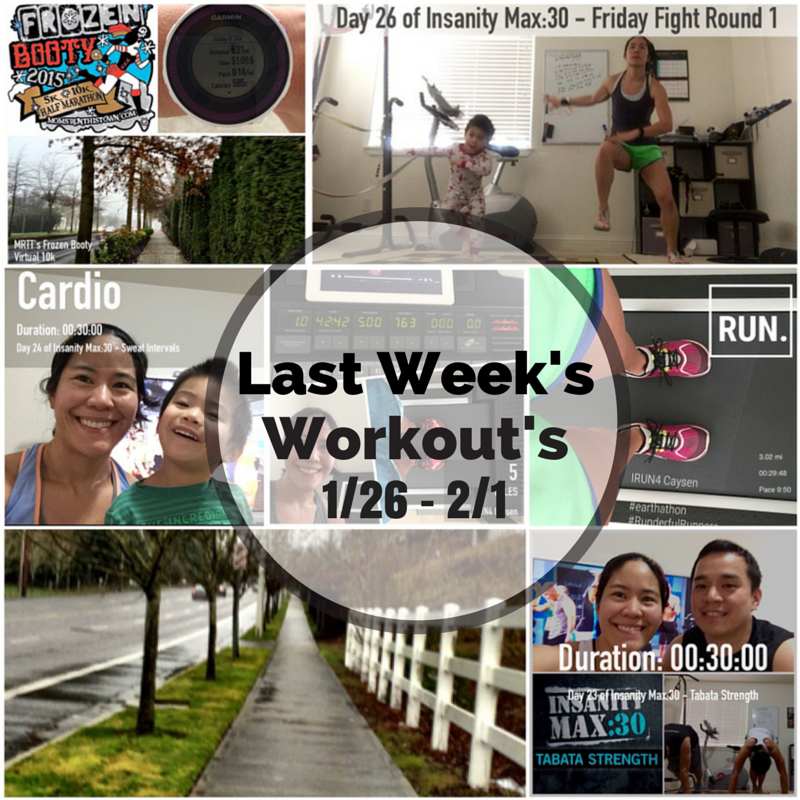 Be sure to check out the other blogs in the linkup! It’s Friday! 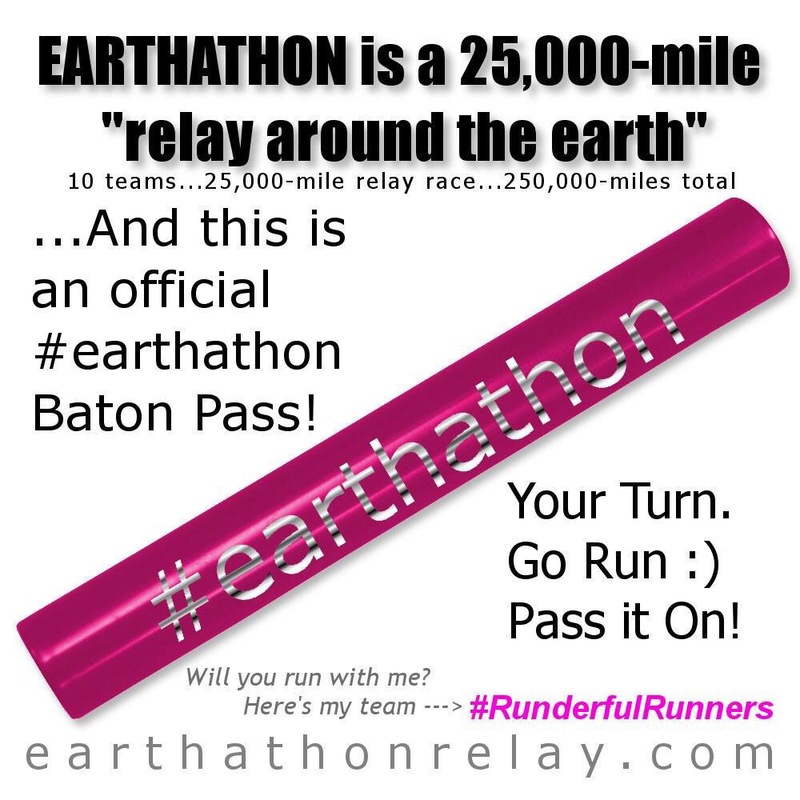 I am linking up once again with Eat Pray Run DC, You Signed Up for What?! and Mar on the Run for their Friday Five Linkup. 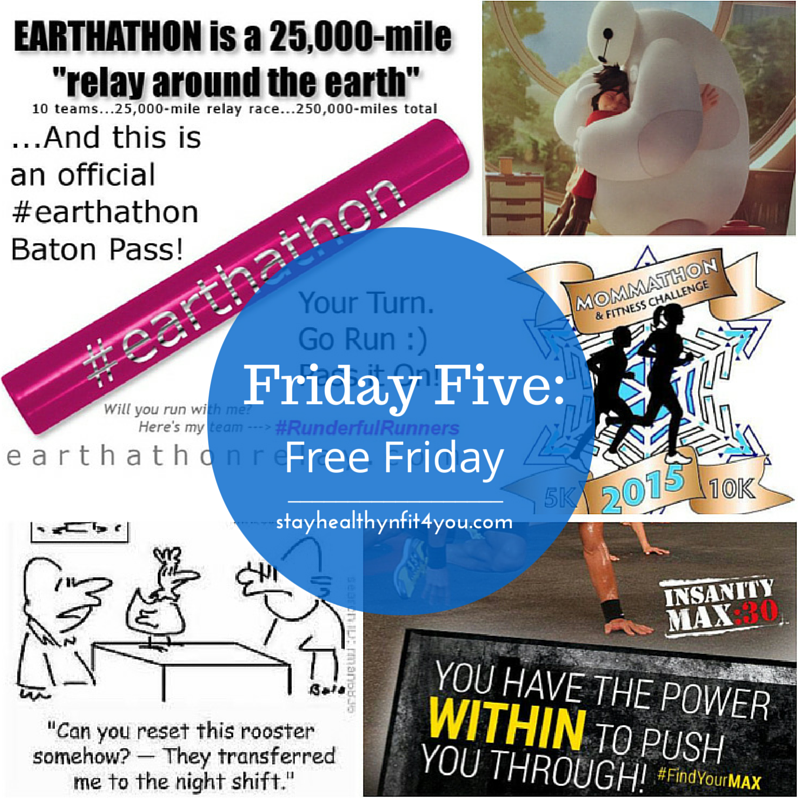 Every Friday they have a linkup for bloggers to link up a post about five things or write on their own theme. 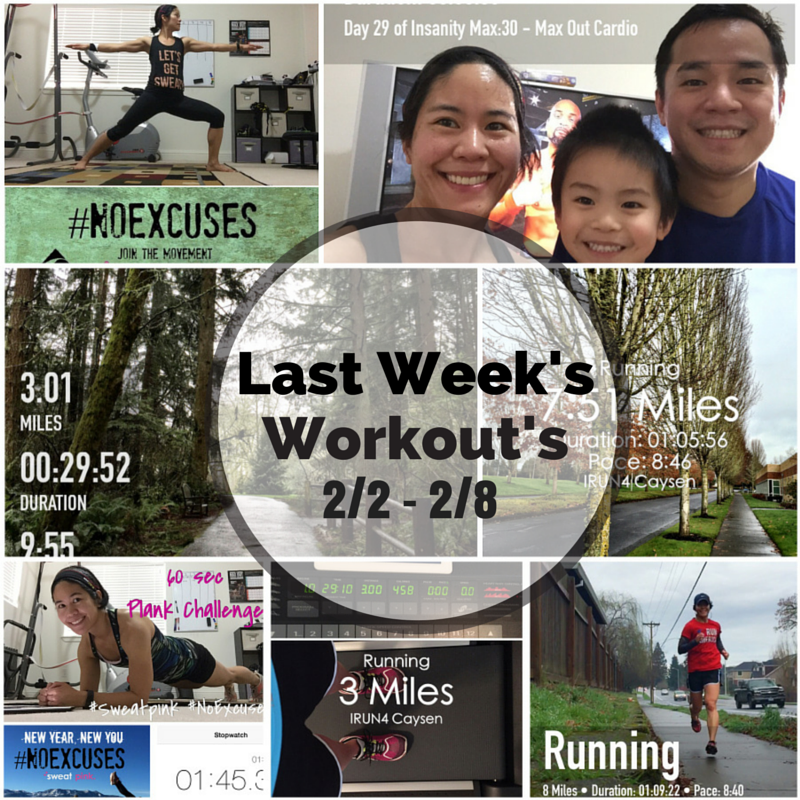 This week’s theme is “Fitness Snapshots”. I always post pics of me working out. But what exactly is fitness? Here is the first definition I got from Google. 1. Running. Running is a great way to get fit and healthy. The benefits of running goes on and include improved cardio and respiratory health, reduced cholesterol, and strengthens the immune system. Here’s a pic from Wednesday’s run. 2. Strength Training. Strength training makes you stronger, builds stronger bones, and improves athletic performance. Also, gaining more muscle is great since muscle burns more calories than fat. 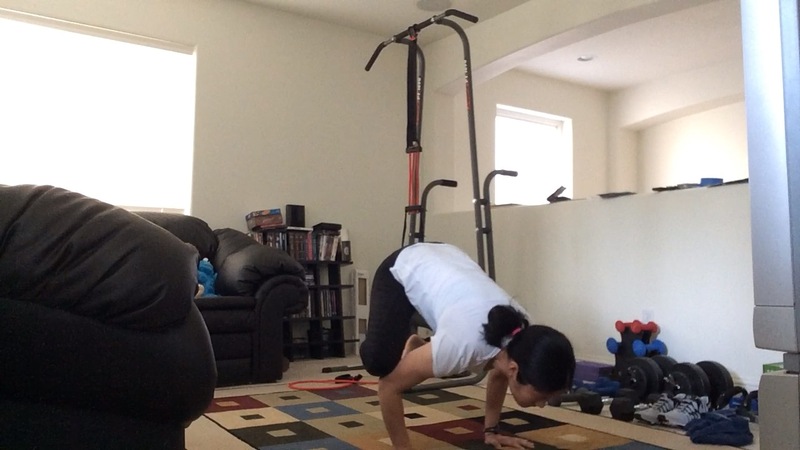 This is an older workout pic from when I was doing Insanity the Asylum – Strength. 3. Hiking/Walking. 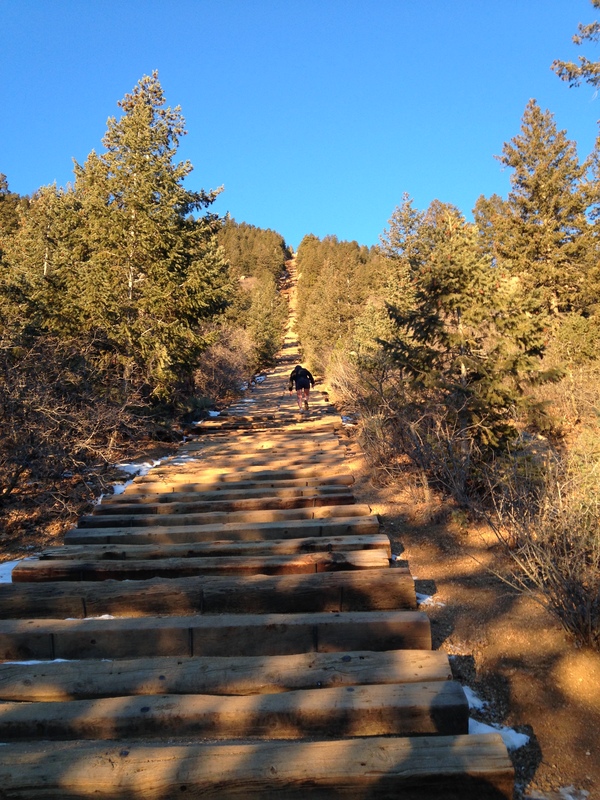 Here’s a pic from when I hiked the Manitou Incline in Colorado Springs a couple of years ago. I haven’t done much hiking lately. The last time was in November, when I was in Colorado again. Just like walking, hiking improves your cardio fitness, bone density, and reduces risk of breast and colon cancer. 4. Yoga. There are many benefits of yoga that include improved flexibility, strength, and better posture. I need to keep working on doing more yoga. Here I am doing the crow pose. This pic is from March when I was doing P90X3. 5. Drinking Water. We all know that drinking water is good for us. I always try to drink at least half my body weight in ounces of water. Some benefits of drinking water include healthier skin, helps carry nutrients and oxygen to our cells, and aids in digestion. 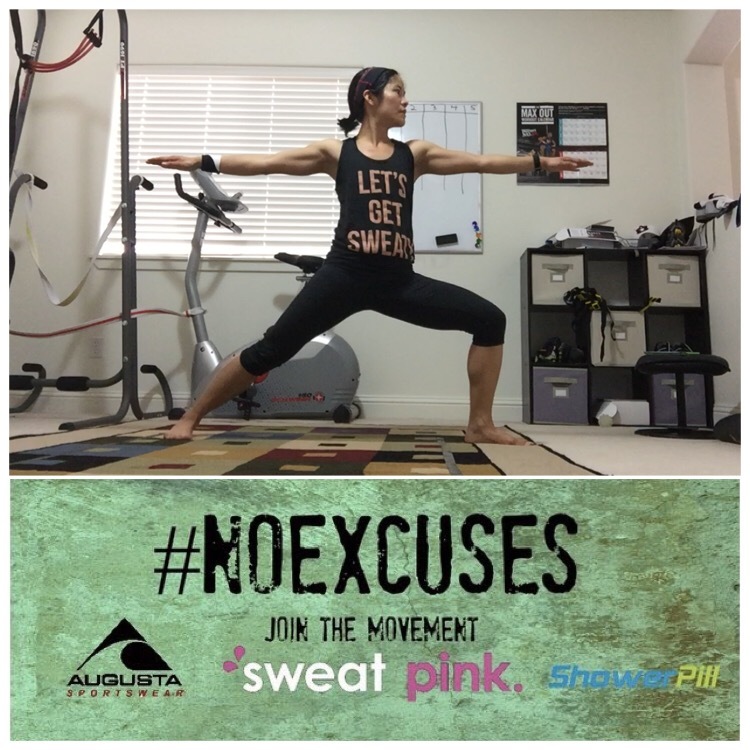 What do you like to do to stay physically fit and healthy?